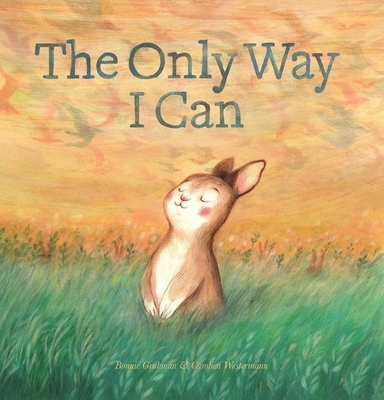 When he sees Bird flying through the sky, Rabbit knows for sure: he wants to fly too But no matter what Rabbit tries, his feet won't leave the ground. Or is there another way? A funny and inspiring book about discovering your strengths. For go-getters ages 4 and up. Bonnie Grubman grew up with a love of reading. As a child, she lived in an apartment with her family, pet turtles, and a parakeet. On hot summer nights, she would cool off on the fire escape with a flashlight and a big stack of books. Bonnie went to nursing school, but later decided to trade her nurse's hat for a classroom full of picture books. She was inspired by her students who found joy and curiosity in everything they saw. Because of these kids, and for all kids, she became a writer. Bonnie lives in Syosset, New York. In childhood already it was Carolien Westermann's biggest wish: becoming a children books illustrator. Since finishing her illustration studies at the Utrecht School of the arts, Carolien (1988) works as a freelance illustrator. Illustrating children books is only part of her daily occupation: she also works for magazines (VPRO, PLUS magazine). Her work is narrative and poetic and often there is a touch of humor.